SLIS Student Sandra Svoboda has been selected as a fellow for the Social Science Summer Institute for Journalists, sponsored by the Russell Sage Foundation. She will travel to New York this summer to spend three days studying and discussing the intersection of journalism and social sciences. In addition to her SLIS studies, Svoboda is also Special Assignments Manager for Detroit radio station WDET 101.9 FM and is well-known for her work on Next Chapter Detroit, a blog that explores Detroit's bankruptcy. Congratulations, Sandra, on this unique opportunity! 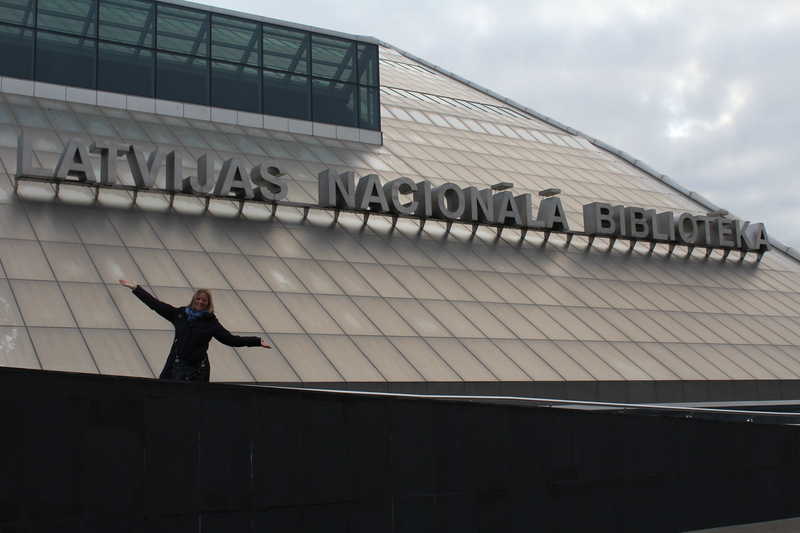 Sandra Svoboda Outside of the Nationa Library in Riga, Latvia.